BRANDON – Brandon University’s (BU’s) pro series will bring in Winnipeg-based Baroque choir Canzona for their first-ever Brandon performance on Tuesday, Dec. 4. Under the direction of Kathleen Allan, Canzona will perform at Knox United Church. 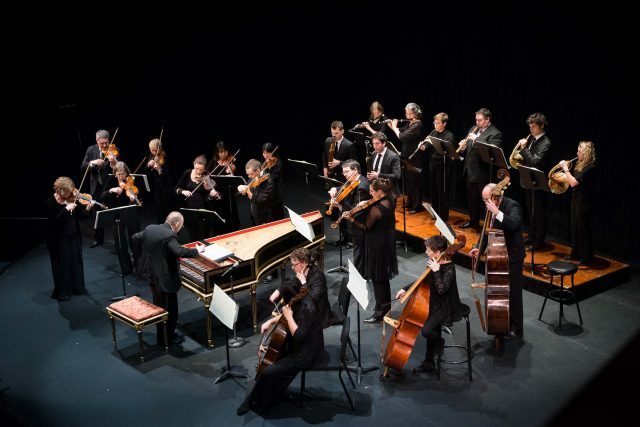 Joining the signers on the stage will be the Pacific Baroque Orchestra (PBO), with conductor Alexander Weimann. This concert will mark the PBO’s return to the pro series after an absence of 17 years. “Canzona is delighted to be performing in Brandon as part of Brandon University’s pro series,” said Allan. “We are well aware of the cultural hub that Brandon provides for all of Southwestern Manitoba and the important role that the university plays in fostering the next generation of great Manitoba musicians. Together, the two ensembles will join forces in a programme that is focused on the Manitoba premiere of Bach’s Christmas Oratorio BWV 248, on period instruments. The evening will be bookended by the first and the last parts of the Oratorio. Also on the programme will be Arcangelo Corelli’s Concerto Grosso in G minor, Op. 6, No. 8. The concert will feature several soloists: soprano Tracy Dahl, contralto Vicki St. Pierre, tenor Dann Coakwell, and baritone Tyler Duncan. Due to the large number of musicians involved in this production, the concert will take place at Knox United Church, at 451 18th St. in Brandon. The performance will begin at 8 p.m. Tickets are $15 for general admission and $10 for students, seniors and alumni. Tickets are available at the door, or in advance in the Main Office in the School of Music at BU. Please note that seating at Knox United Church is limited and that programmes are subject to change. The pro series returns in the New Year with a concert featuring Ensemble Made in Canada, a quartet composed of violinists Elissa Lee and Sharon Wei, cellist Trey Lee, and pianist Angela Park. That performance is slated for Tuesday, Jan. 29 at 7:30 p.m., and it will be held in the Lorne Watson Recital Hall, in the BU School of Music. So that all may enjoy pro series performances, please contact Joyce Burba in the School of Music Main Office in advance at 204-727-9631 or Burba@BrandonU.ca with any accessibility considerations. For an up-to-date listing of pro series and student performances, please visit Events.BrandonU.ca/events/category/music/.